DHARAMSALA, India — From his office in the hill station of Dharamsala, where Tibetan exiles have spent the past half-century waiting for the seismic changes that could restore Tibet’s independence, Prime Minister Lobsang Sangay was reminiscing, a bit wistfully, about a world he had left behind. Specifically, he was reminiscing about the Boston Red Sox. These were not the vague remarks of someone faking expertise for diplomatic purposes. Rather, he was recalling the seventh game of the 2003 American League Championship Series, when the Red Sox manager took a disastrous gamble by allowing the team’s star pitcher, Pedro Martinez, to remain on the mound late in a deciding game against the New York Yankees. Behind his desk, a magnificent life-size, silk-draped photograph of the Dalai Lama hangs from the wall, and outside his window, the Himalayas rise like a great wall into the mist. Mr. Sangay likes sports. He can explain why: You win, or you lose. Then you close the book on that episode and start over. This could not be more different from the mission that he took on in 2011, when he left a comfortable life at Harvard to begin a five-year term as sikyong, the leader of the Tibetans’ exile administration. This coincided with a momentous decision by the Dalai Lama, the exiles’ head of state since 1959, to devolve his political power to the new prime minister. Since Mr. Sangay took over, it has been difficult to close the book on anything. China, which once gave lip service to negotiations on Tibet’s status, has refused to meet with him or his representatives. Western countries are increasingly squeamish about getting involved. With the Dalai Lama’s 80th birthday a year away and no clear plan for succession, anxiety has settled like a pall over Dharamsala. 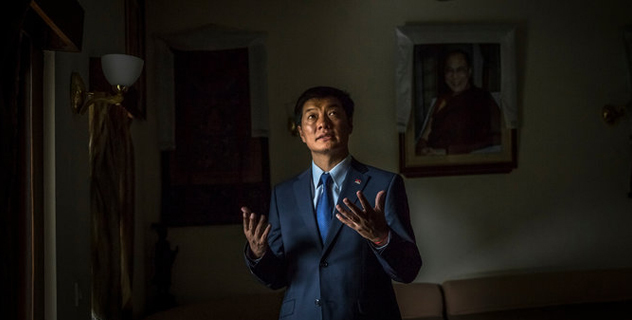 Some activists criticize Mr. Sangay for being too rigid with China, others for watering down Tibetan demands in an attempt to bring Beijing to the table. Meanwhile, it is his job to inspire confidence when there is little sign of progress. Considering all this, Mr. Sangay is surprisingly even-keeled. Asked why, he says he falls back on the Buddhist notion of impermanence. He also uses what he learned as a fan of the Red Sox, during the long years before the team’s luck turned. TALL and imposing like many men from eastern Tibet, Mr. Sangay grew up in a refugee camp near Darjeeling, in eastern India, poor enough to wear sandals through the bitter winter. He comes from a long line of fighters. His father was in charge of arms and ammunition for the Chushi Gangdruk militia, formed in the late 1950s to defend Tibet. One particular story accompanied Mr. Sangay’s birth: His mother suspected he was the reincarnation of her brother, who had been trained by the Central Intelligence Agency and airdropped at the Tibetan border, in one of the most secret programs of the Cold War. He never returned. By the time he ran for the highest office in the exile government, known as the Central Tibetan Administration, Mr. Sangay had a smoother image, one that developed over 16 years at Harvard, first as a Fulbright scholar and later as a research fellow at Harvard Law School, his salary provided in large part by a private foundation. In a suit and tie, he could easily be mistaken for an investment banker, and he has an American politician’s knack for campaigning that, coupled with the reverence accorded to Harvard, has helped him leapfrog older and more established Dharamsala-based candidates. The biggest change was that he dropped his insistence that Tibet gain independence, instead embracing the Dalai Lama’s so-called Middle Way. Introduced in 1987, the policy is intended to draw China into dialogue by softening Tibetan demands, calling for self-governance and “genuine autonomy” within China. Last year, Mr. Sangay told the Council on Foreign Relations that the goal was to see ethnic Tibetans installed as party secretary and in other important posts in the Tibetan autonomous region. “We don’t question or challenge the present structure of the ruling party,” he said. “The problem is that they see China through the eyes of the West,” said Mr. Norbu, who now lives in Tennessee. 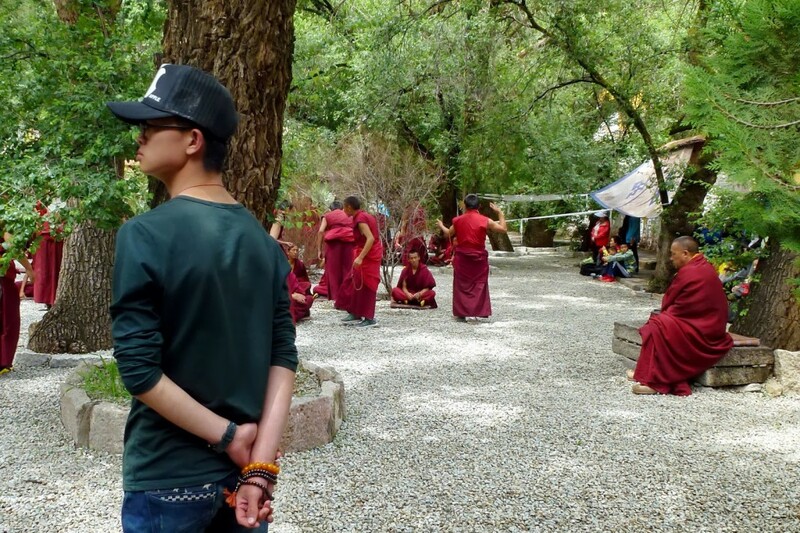 “The sheep doesn’t see things from the point of view of the wolf that is gobbling her.” With his bodyguards in dark suits and sunglasses, he said, Mr. Sangay is focused on burnishing his image at a moment when Tibetans are desperate for a way forward. IN Dharamsala, the Dalai Lama’s word remains sacrosanct, and Mr. Sangay seems untroubled by the criticism. In a recent interview, he was cheerful for another reason: His wife and 7-year-old daughter, who remained behind in Medford, Mass., when he began his term, were finally preparing to move to Dharamsala. He was buying his daughter a puppy. As the leader of an unrecognized government, he earns 26,000 rupees a month, or about $430. He makes exhausting whistle-stop tours of exile communities, listening to petitions and complaints. 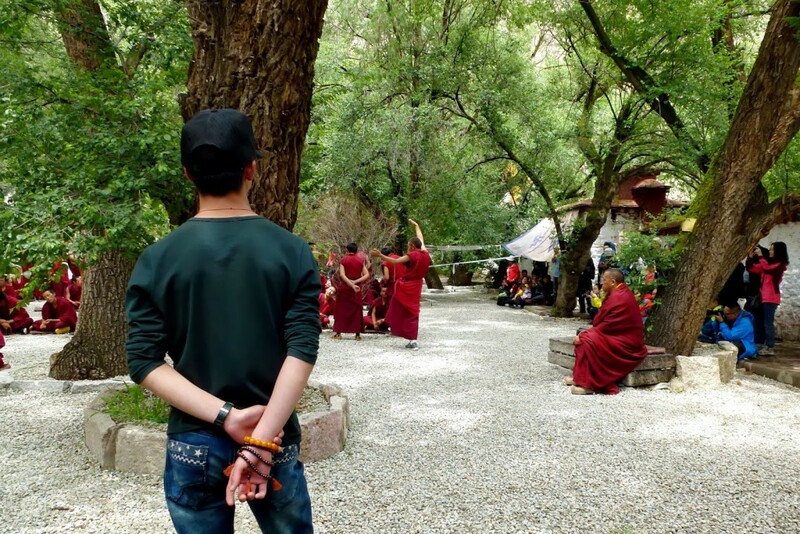 Last week he paid a condolence visit to a Tibetan family that had lost a brother to a stampeding elephant. During trips outside India, he holds secretive meetings with government officials, often in hotel rooms or cafeterias to avoid attracting the attention of the Chinese. In the presence of the Dalai Lama, his status seems to melt away. Addressing a crowd last year, the Dalai Lama affectionately mocked Mr. Sangay’s spoken Tibetan, saying it is “like a schoolboy talking,” and then laughed heartily. The prime minister, in the background, bowed his head. Asked about it, he smiled a little ruefully. Meanwhile, Mr. Sangay offers evidence that Tibetans are opening their hearts to him. In his office hangs a thangka — a traditional painting that usually features Buddhist deities — that has been custom-made by an admirer in China to include his face. He sends out links to worshipful songs that have been written in his honor and posted on YouTube. Asked where he falls in the hierarchy of leaders, he described himself as “a secondary voice,” but added a postscript.